Sample local olive oil, hit the links, complete an interactive scavenger hunt, and more. Experience the best of the Valley with a variety of customized events. Get your team out on the course for a day of instruction and competition on one of the country’s best golf courses. Survey Napa Valley — and some of its renowned sub-appellations — in style aboard the Wine Train. 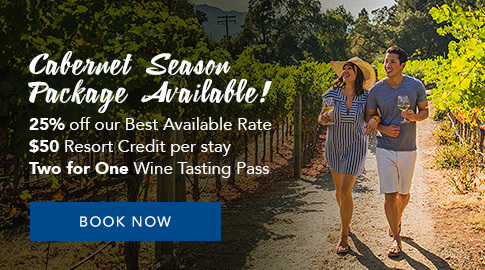 Embark on a customized tour and tasting itinerary, and experience Napa’s famed wineries firsthand. Local wine and olive oil experts operate tasting bars and share their intimate knowledge in this unique, onsite, evening event. Partake in Napa’s greatest tradition, and blend a selection of high-varietal wines into a rich red blend. Tap into your potential, and learn the finer points of tennis strategy. Armed with a Polaroid camera and GPS, work with your team to solve various challenges on our gorgeous property.